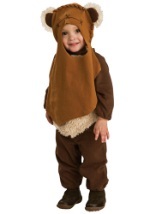 “Don’t worry we have R2D2 with us.” Now, your tot can become the little astromech droid with this child R2D2 costume. The romper is made of comfortable polyester/flannel material and features detailed screen print design on the front and a stiff collar with buttons along the neck. A detailed fabric cap completes this lovable Star Wars costume. Pair up with C-3PO for a cute Star Wars couples costume!